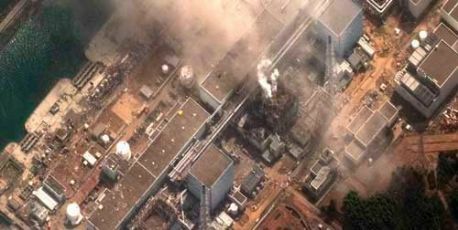 The Fukushima accident was a "manmade disaster", a damning report for the Japanese government has concluded. After a six month investigation into the meltdown that followed the earthquake and tsunami in March last year, the Nuclear Accident Independent Investigation Commission said that the direct causes of the accident were “all foreseeable”. But the operators, the regulatory bodies and the government body promoting nuclear power had “all failed to correctly develop the most basic safety requirements”. The operator knew the reactors needed safety upgrades but did not make the changes required, and the safety regulator went along with the company’s decision not to make upgrades. In addition the company created no new regulation or procedures for emergency response within the plant, or to protect the public living nearby and manage an evacuation. Listing a “multitude of failures and wilful negligence” from equipment shortcomings, to confusion in the chain of command and a catalogue of failings in managing the public evacuation, the report authors declined to lay blame on any individual. Instead, they said the “catastrophic” negligence was also a consequence of the Japanese mindset. In his introduction commission chairman Kiyoshi Kurokawa, a doctor and former president of the Science Council of Japan, said “reflexive obedience; our reluctance to question authority; our devotion to ‘sticking with the program; our groupism; and our insularity” meant the country’s nuclear industry had not learned the lesson of overseas accidents at Three Mile Island and Chernobyl. The report said that “replacing people or changing the names of institutions will not solve the problems”. Without a fundamental restructuring of the industry and a change of mindset “preventive measures against future similar accidents will never be complete”.